My birthday was over this past weekend and my Mom made a Piña Colada cake that is one of my favorite cakes she makes. It’s not super sweet and is has a refreshing taste. My Mom use to make this all the time for my Dad and over the last few years I’ve had her make it for my birthday. It’s a delicious alternative to a regular frosted cake and is really very simple. 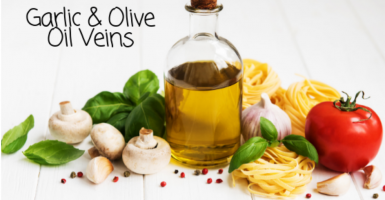 Check out this recipe and give it a try! It’s definitely a favorite of mine! Directions: Preheat oven to 350. Combine cake mix, ½ cup cream of coconut, vegetable oil, eggs, flaked coconut and rum (if you using.) Mix or beat 2 minutes. Stir in pineapple and liquid if omitting the rum. Mix till full incorporated. Grease with a Bundt pan with cooking spray. Add in flour to lightly coat the pan. Shake off excess flour. Cool slightly about 15 minutes. 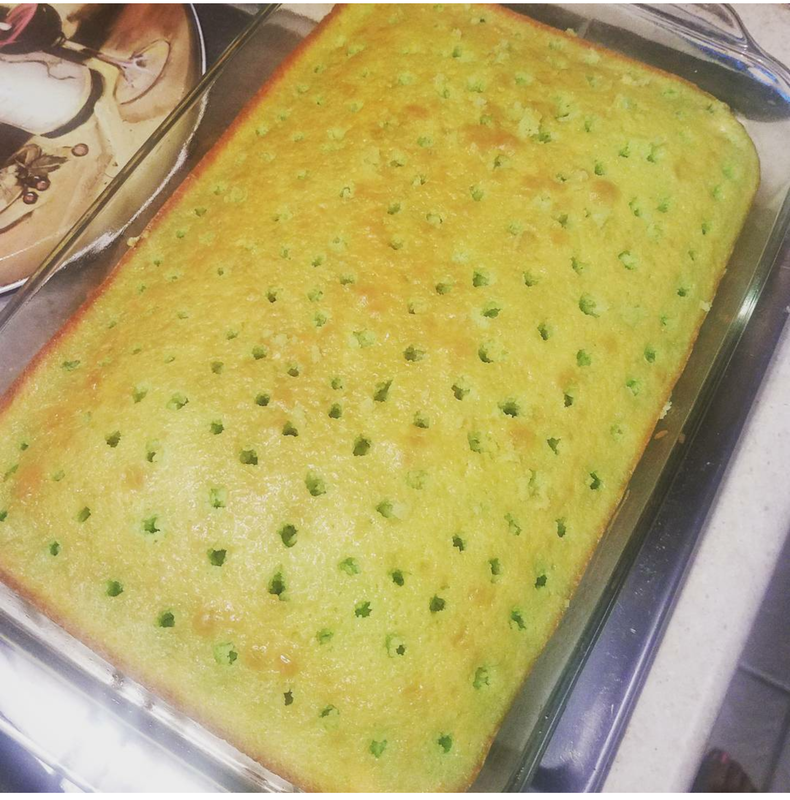 Next poke holes all over the top, pushing down almost to the bottom of the cake. Pour remaining cream of coconut over the cake evenly into the holes. Use a spoon if needed to help the liquid get into the holes. Note: You can omit the rum from the cake but then just add the liquid from the crushed pineapple for moisture. If using the rum, make sure to remove the liquid from the crushed pineapple. This cake is much better once it’s chilled. If you eat while it’s still warm it will fall apart and not have the same taste. Over the weekend I wanted to make a dessert. I’m not a baker at all. I’m trying to get more into baking slowly. My Mom has made so many yummy desserts, cookies and candies over the years and I’m trying to take after her a little bit. 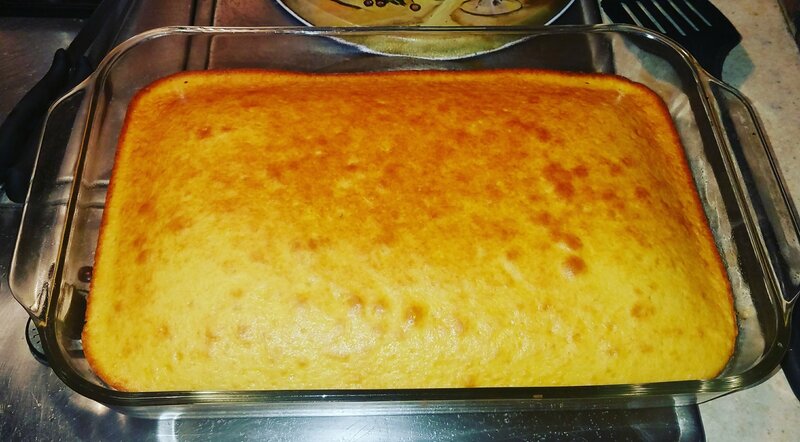 I felt like something sweet this weekend and I decided to make this super easy cake. I mean it’s very simple. I figured I’d start with baby steps. My Mom got this recipe from my Aunt and has been making it for 30+ years. It’s very light and refreshing and great for the summer. It’s not usually something I’d make in September but with this heat wave it was perfect. This is very similar to a poke cake. 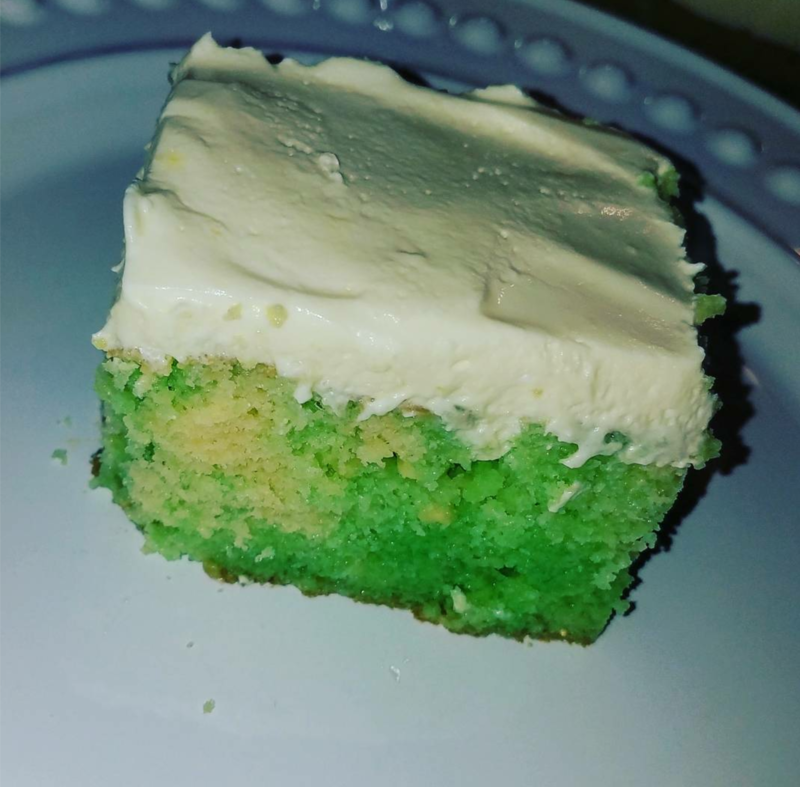 If you like lemon and lime and a simple cake recipe you’ll love this. It’s very delicious. Check out the recipe below. Directions: Bake cake according to directions on the box. In a bowl mix 2 packages of lime jello, 2 cups boiling water, 1/2 cup cold water, mix together. Set aside at room temperature for 1 hour. Remove cake from the oven and let cool at least 20 minutes. Poke holes all over the cake. Don’t forget the edges. Pour the lime jello over the top of the cake evenly so the jello mixture gets into the holes. To make the topping add 1 1/2 cups cold milk, 1 package of instant lemon pudding and cool whip. Mix well till incorporated. Spread topping over the top of cake and refrigerate for 4 hours before first serving. Its best the longer it sets. Note: If you it eat it too soon the cake will be rather wet let it sit longer.